Different business niches have completely different requirements when it comes to their website. Restaurants need a booking and menu system, musicians need support for playing their tracks, photographers need a beautiful gallery. 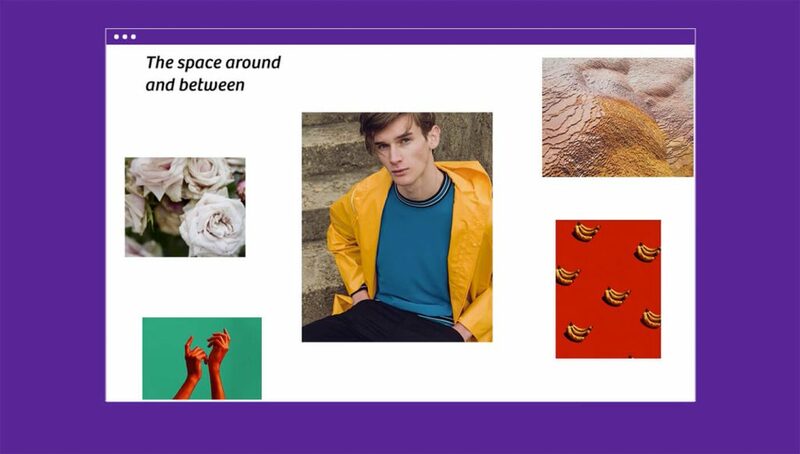 No matter what business area you’re currently working on a project for, it’s worth taking a look at what Wix has to offer. They have a range of professional designs and functionality to use a range of businesses—large and small. Today we’re taking a quick look at the features and templates on offer, whether it’s for your business, portfolio – or for a client. 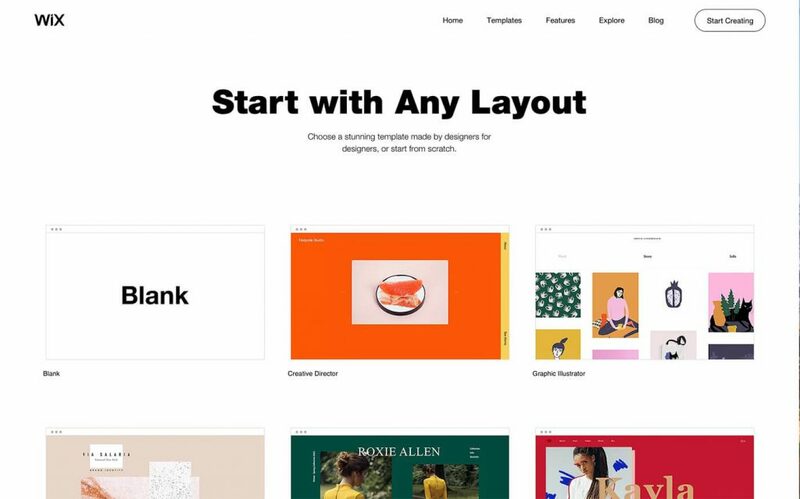 Wix gives you a range of different templates to start with. Each has a unique style or is well suited to a particular business. Let’s take a look at how the functionality of each of these can help with different types of company. Wix lets you create, manage and sell your products in a beautiful online store. There’s no need to worry about handling payments, tracking orders, managing reporting, and statistics — it’s all built right in. You can sell physical or digital products and only think about your photos and content. Wix handles everything else. Whether you own a restaurant, salon, car mechanic shop, or a consultancy business, letting people book (and pay) for appointments with you online can save a huge amount of hassle. No phone calls, in-person bookings, and wasted time. Wix can handle all this for you, without any commission. Hotel booking systems can get complicated fast. Especially on a platform like WordPress, where you’re juggling a set of plugins and e-commerce packages to make the booking and reservation system work. Wix lets guests book rooms (and check availability) right on your website, handling payments, updating availability, and more. Any writer should have space online to call their own. Publishing has never been easier, and a website can help—whether you’re promoting your latest book, or writing a regular blog column. Wix lets you easily run a blog, share posts with your community, and let people subscribe. All presented beautifully. You can embed content from elsewhere if you already have it on other online platforms. Creative professionals (or hobbyists) need a place to share their work. Having your artistic or photography portfolio online can open up your work to a whole new audience, as well as helping you sell your work on a greater scale! 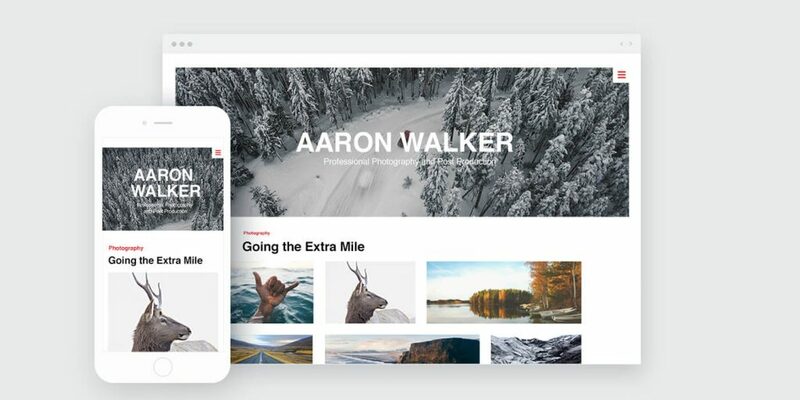 Wix has functionality for presenting a photography portfolio in style, showcasing artistic work, or even letting musicians (or videographers) share their creations. Let your fans play your audio and video content right on your site. All the templates on Wix give you creative freedom to alter the design and make your own changes. You’re not fixed into a single “one-size-fits-all” template, so you can create something that reflects your brand well. This is absolutely key. Using a website builder, while a good solution for many people, can’t leave you feeling like you have a “cookie cutter” website. You don’t want to have your brand represented in exactly the same way as a competitor. Retina Ready: Enjoy a crisp, high-resolution image quality on all devices. Unlimited Fonts: Go professional and clean, or fun and quirky—it’s up to you. Design Effects: Choose from different animation, scroll, and parallax effects to give your site some personality. Grids & Layouts: Choose from different layouts and grids to display your work (or the whole structure of the pages on your site). Let’s take a quick, final look at a few of the features of Wix that can help you build something unique—without needing professional help. This is the page builder you use to create your website. Choose a template as a starting point, and then use drag-and-drop to make it your own. Add pages, media, links, features, and functionality. Wix ADI (Artificial Design Intelligence) is their foray into the world of “design by AI”. You answer a few questions about your business or product, and then Wix ADI will take care of building a website template that should be a great match for you. Wix has a library of thousands of visuals for your website, free for subscribers. Don’t be stuck with using free stock images (or worse still, whatever you can find on Google Images) for your site, and enjoy this access to professional stock content instead. Last (but far from least), you’ll get SEO advice throughout Wix which is tailored to your website. This is key to ensuring your website shows up in search and can be found by your readers, customers, or clients! 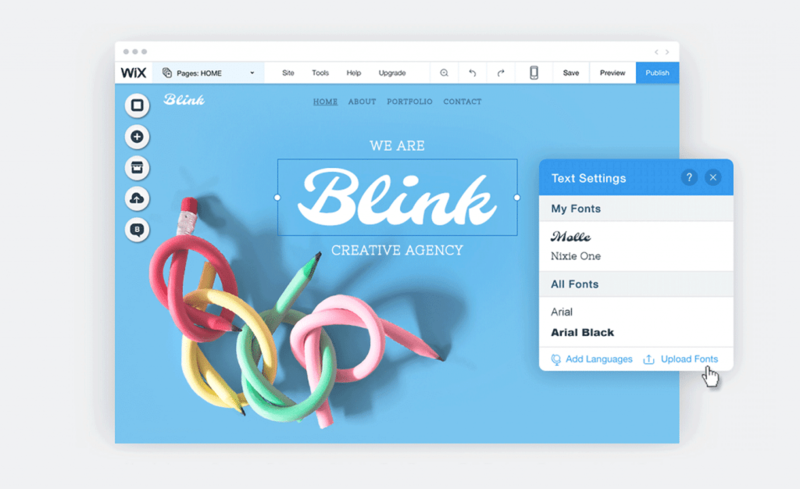 With dozens of design features, professional templates to start with, and functionality that can work for a huge range of businesses, Wix is a starting point worth considering for your next website project.